Welcome to Priority 1 Party Rental, L.L.C! We Offer Great Bounce House Rentals, Tent Rentals, & Other Party Rentals Ready For Delivery In Brighton, Howell, and Other Surrounding Areas! Pick a date, Pick a Rental, Reserve it! At Priority 1 Party Rental, we take your party rental needs seriously! 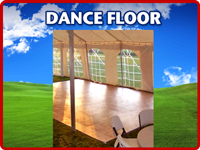 We offer the complete party rental experience, from bounce house and moonwalk rentals, to tent rentals, and other great party supplies for any special occasion! We are also proud to rent water slides and a double lane slip & slide! 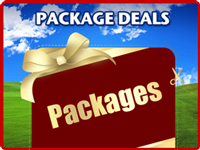 If you're planning a party and looking for the best party rentals and party supplies in Michigan, you've come to the right place! Whether you're looking for a bounce house rental in Brighton, a tent rental in Howell, balloons for a graduation party in Ann Arbor, or other great party rentals in Pinckney, Priority One Party Rentals is sure to rent what you need to make your party a success! 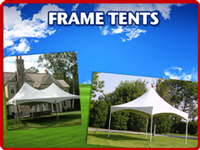 If you're looking for a large tent rental for a gathering such as a wedding or corporate event or a smaller frame tent for more intimate gatherings, Priority 1 Party Rentals has the selection you're looking for. 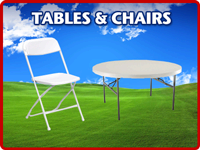 We even rent tables, chairs, tableware, and high-quality table linens. It's safe to say we have the party supplies you're looking for. 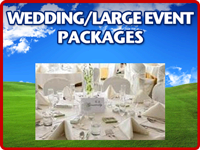 Let us help make your special event dazzle! If you're planning a birthday party, church festival, school carnival, graduation party, or any other type of special event, bounce house rentals are the way to go! 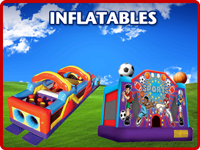 You'll sometimes here them called moonwalks, jumpers, jump houses, bouncers or even a kids party inflatable thing. Whatever you've known them to be called, one thing is for certain. Kids (of all ages) love jumping on them! We have great moonwalk rentals for both boys and girls. 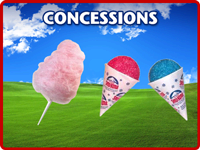 We even have a great assortment of concessions for rent such as cotton candy machine rentals, popcorn machine rentals, and sno-kone machine rentals. 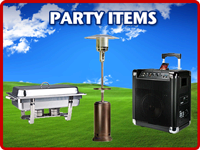 Because we have such great party supplies, with Priority 1 Party Rentals, everyone's a winner. Kids will love jumping for hours and parents can feel safe knowing that they have chosen a party rental company in Michigan that makes cleanliness and safety a priority! If you're looking to rent a bounce house and searching for a company you can trust, look no further! Priority One Party Rentals is proud to deliver all of our incredible party rentals to the following cities in MI: Brighton, Howell, Ann Arbor, Chelsea, Dexter, Fowlerville, Gregory, Hamburg, Lakeland, Oak Grove, Pinckney, South Lyon, Stockbridge, Whitmore Lake, Fenton, Hartland, Highland, Webberville, Linden. Priority 1 Party Rental is great for all types of parties including Grad party, Graduation party, Birthday Party, School Festival, Family Reunion, Bar/Bat Mitzvah, Corporate Picnic, Wedding, Neighborhood Party or Church Functions such as Vacation Bible School (VBS). As it gets warmer, make sure you check back for water slide rentals and slip & slide rentals. These water rentals are perfect for the hot summer days ahead.